Home > Game Reviews > Marvel vs Capcom 3 to have less than 20 characters? 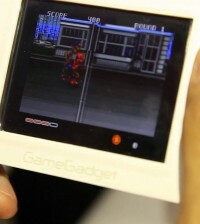 Following is a screen capture from Marvel vs Capcom 3 at E3 2010. Click to make it bigger. Judging by the number of spaces on the character select grid, it seems likely that Marvel vs Capcom will have at most 20 characters. The outer left and right rows are crossed out because of the way they intersect with the Profile panes. The bottom row is crossed out because of the text that sits over it and the top row because it wouldn’t be balanced with the bottom row. Capcom is way too good of a developer to have a poorly laid out character select screen so that leaves us with a maximum of 20 characters. Unless, they have a super grid they are hiding from us? Stay tuned to Das Reviews for more great gaming news, previews and reviews. and Capcom already confirmed the game will have more than 30 characters. Why are people so freaking retarded!? they tell them something official and they still don’t get it!